With Kickstarter’s mission to bring creative projects to life, it’s no surprise that many of our favorite campaigns focus on developing groundbreaking tools that offer new possibilities for artists, makers, and anyone looking to express themselves. 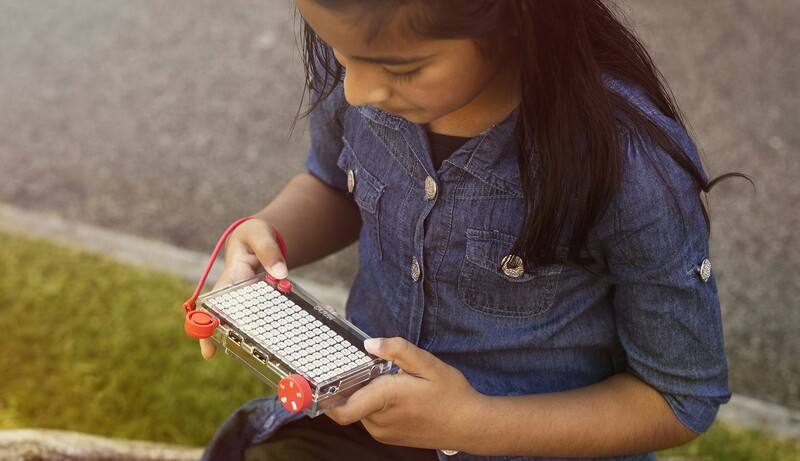 Alex Klein and the Kano team share this passion and have used the success of their beautifully simple Computer Kit — launched on Kickstarter three years ago — has inspired young people across the globe to take a courageously hands-on approach to learning about technology. Kano’s new campaign offers three new creative computing kits that let aspiring hardware hackers build their own cameras, speakers, and pixel displays, inviting them to playfully explore physical interaction using a variety of plug-and-play sensors and a beginner-friendly visual programming language. 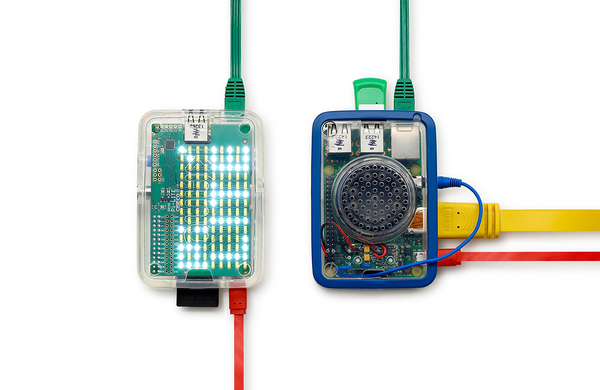 We asked Klein to share some of the stories and DIY projects from the Kano community that sparked ideas for these new kits. I gladly accepted his challenge and started prototyping. Once it was working, we took the simple hand-folded box of electronic bits and instructional book around the world to share with other like-minded youngsters. We thought we’d make one thousand more, and came to Kickstarter, asking for your help. We were blown away when people across eighty-six countries pledged fifteen times as much as we expected and brought to life a new kind of computing — based on creation, not just consumption. You were a lot more than a crowd. You were our believers, our sharers, reviewers, design deciders, OS updaters — you held our feet to the fire, dealt with bugs, set our standards high. Kano is growing at the intersection of the maker movement, low-cost computing, and next-gen skills. But it’s what people do with our simple kit that surprises and delights us the most. You helped us create the first personal computer anyone can make. Now we’re turning our attention to physical computing, opening a world of sound, light, and sensors to anyone who wants to experiment. We’re beyond pumped to launch our new campaign, a year in the making, for the complete Kano system, offering creative computing for all. It comes as three new kits — to build cameras, speakers, and pixels arrays — and a new browser-based visual programming language that breaks down coding into simple steps and intuitive storytelling. But whence came the ideas for these new creative computing kits? Directly from our community — a community that has put together incredible projects like a Kano-powered WeatherSTEM station in Florida and worked to bring creativity to computer education in schools. Here are some of the fascinating things that people did with the the original Kano Computer Kit that inspired us to create our new kits. The idea for the Camera Kit came from a family in Germany. They made their Kano Kit into a camera-enabled device capable of generating time lapse sequences of a flower growing. We wanted to be empower everybody to be able to create something like this easily, so we’ve come up with a camera you can assemble together and with behaviour you can customize. The first Kano Computer Kit used the Raspberry Pi 1, Model B for its computing power — about a tenth of the speed of the current version. Apps loaded in the time it takes to skip a YouTube video, bugs were a lot more common, and at a certain point, too many Kano Blocks in our Make Minecraft world would slow down the CPU. So we created the Powerup Kit, specifically for our earliest backers and customers. The idea was simple — a new, faster Pi had come out and we wanted you to be able to make art, games, music, and apps on Kano OS with more speed. But we didn’t want you to abandon your Pi 1. At Kano, we’re about reuse and remixing, and we didn’t think those powerful little boards should end up in the trash heap. In the Powerup Kit, we shipped not only a Pi 2, but a special Lightboard that, when attached to the Pi that came in the original kit, converted it into a very fun, internet-connected light show. The “Make Light” coding app we shipped with it proved incredibly popular and lots of people wrote in asking how they could get their own Lightboard. And so a far more powerful idea emerged: 128 RGB lights, completely wireless, that could be connected to and coded from any device to show art, sound, news, sports, stocks, and more — plus slots for three sensors, like Tilt, to make the invisible world of data visible — and physical. The Speaker Kit is a smart Bluetooth speaker and synthesizer that lets users code electronic music, make loop pedals, rig up walkie talkies, disguise voices, and more. It stemmed from two stories. First: the story of Kelvin Doe, a now twenty-year-old maker from Sierra Leone who taught himself engineering and set up his own local radio station on a Kano Computer Kit. Second: the huge community of Sonic Pi music makers using the Kano Kit to share loops, beats, and more, created line by line in a Supercollider-based programming language. 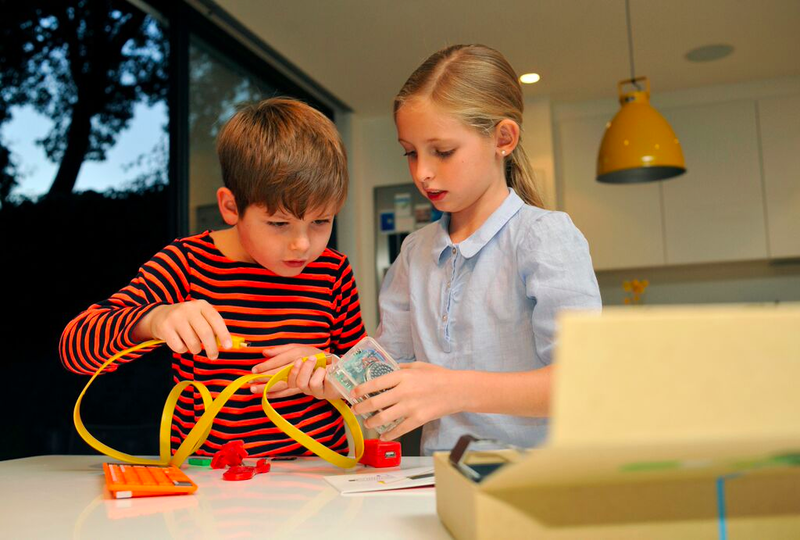 This is the feeling we hope to inspire in anyone curious to learn more about the creative side of technology using our kits.